Welcome to winter. 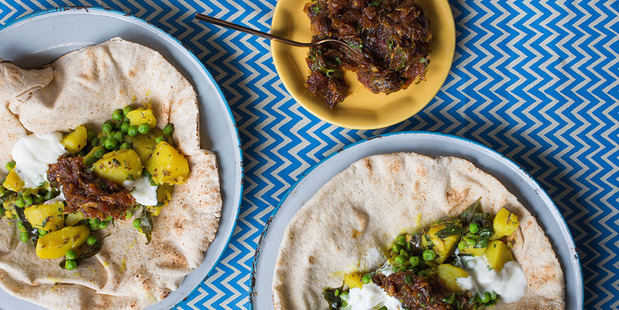 Here's hoping it will be a season that is as spicy and vibrant as Ray McVinnie's vegetable curries. Ray McVinnie's delicious dry potato and pea curry. Photographer/stylist Tam West has inspired me to be a lot more colourful with my table settings, and Ray has me wanting to try everyone. For carnivores he suggests serving the gingery mixed vegetable and tomato curry with roast chicken or steak. The dry potato and pea curry with warm flatbread with barbecued lamb, chicken or fish, and you could add diced chicken to the zucchini, green bean and coconut curry with fried tofu. 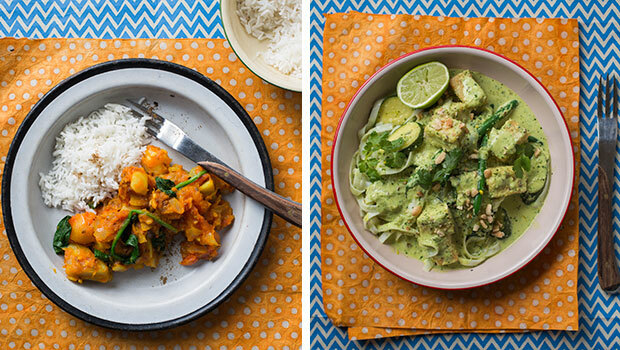 Warm up with a mixed vege curry or a zucchini green bean and coconut curry. It's time to spice up the baking too. 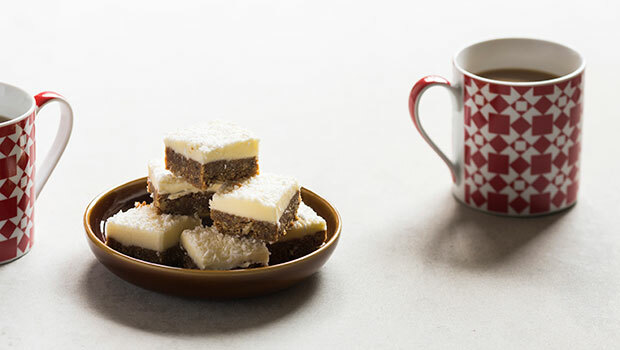 Welcome in winter with this ginger fudge slice and then work your way through our spicy baking collection. Salmon makes a nutritious addition to the winter menu and Warren Elwin has four interesting ways to serve it in his 4 bites column this week. The salmon thermidor has certainly got my attention. 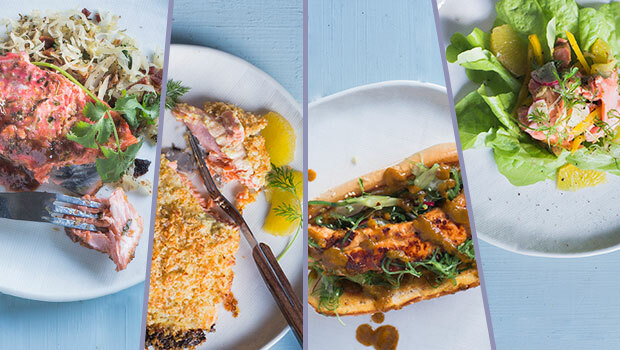 Four ways with Salmon by Warren Elwin. For those enjoying a day off for Queen's Birthday, perhaps you might like to make this spicy ginger fudge slice.